I’m feeling more than the usual amount of back-to-work blues at the end of this long weekend. It seems ridiculous saying this as temperatures of up to 36 degrees are forecast for later this week, but it feels like the sun is setting on summer. 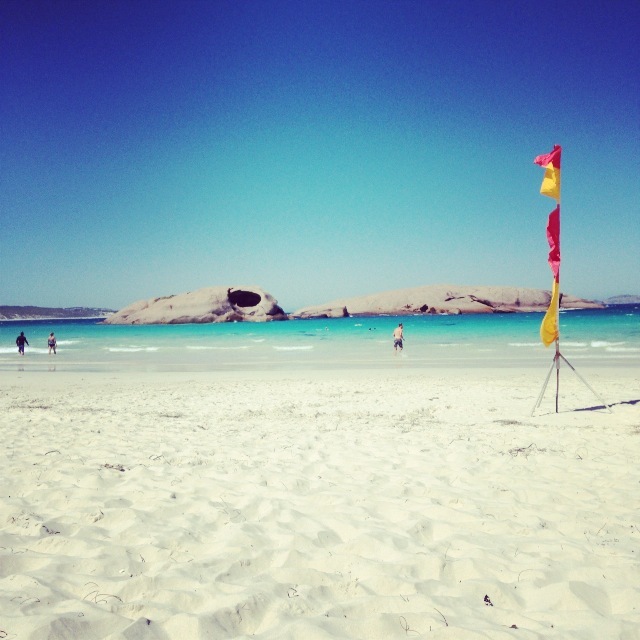 This weekend just gone was probably the last weekend at Esperance until next summer. Cue tears. 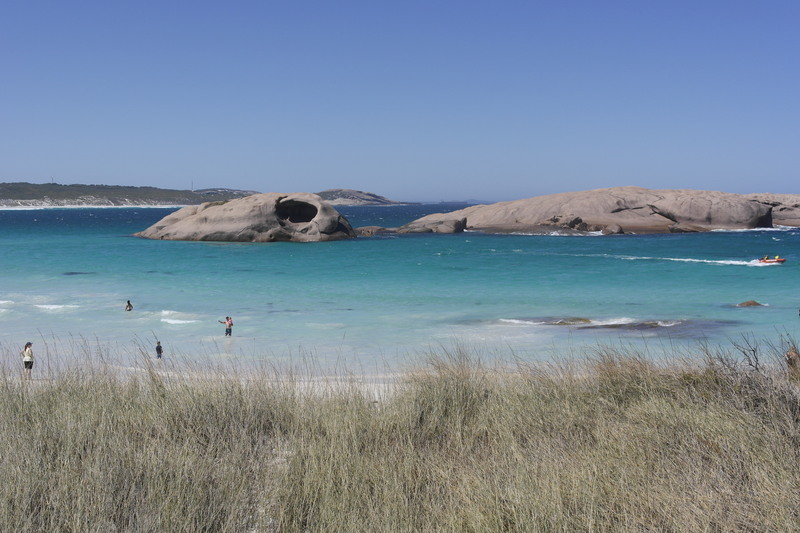 On Saturday we had a rather large day at the Esperance Cup, so on Sunday after driving through various fast food establishments we went straight to Twilight beach for some sand time. Having eaten a kebab rather late on Saturday evening I skipped breakfast and went straight for a rum and raisin ice cream. An odd choice really, seeing as I’m not keen on either raisins or rum. But it was pretty great. 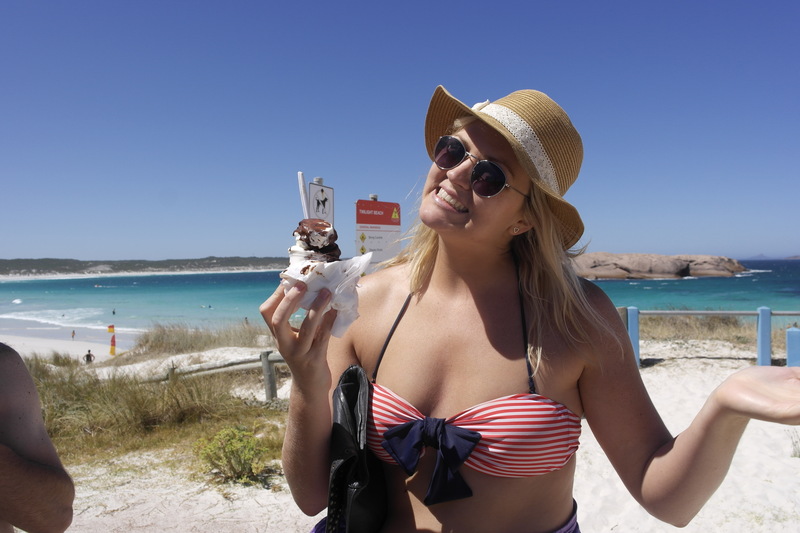 Bec had a chocolately sundae. 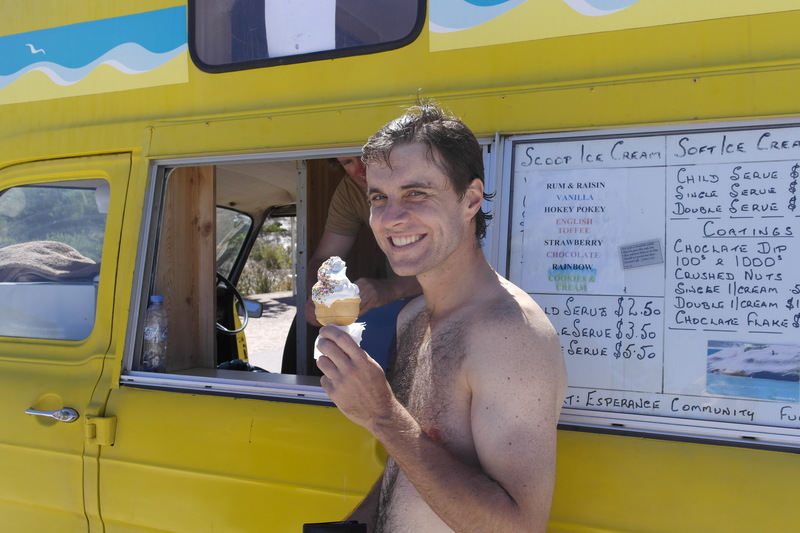 And Scotty had something with sprinkles. Which he looks pretty pleased about. 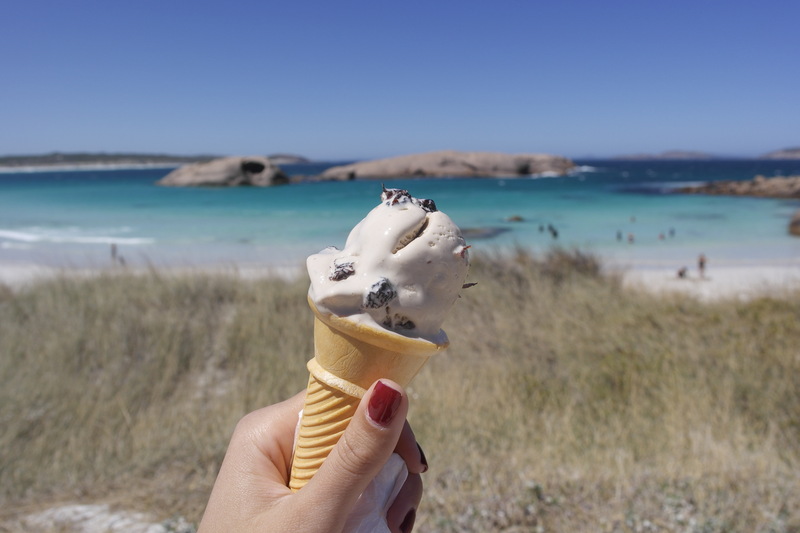 Taking time to photograph ice cream on a hot day for a blog is really sticky business. I suppose that’s why they have those showers at the beach. HA! Just noticed the cone says ‘single’, how appropriate. 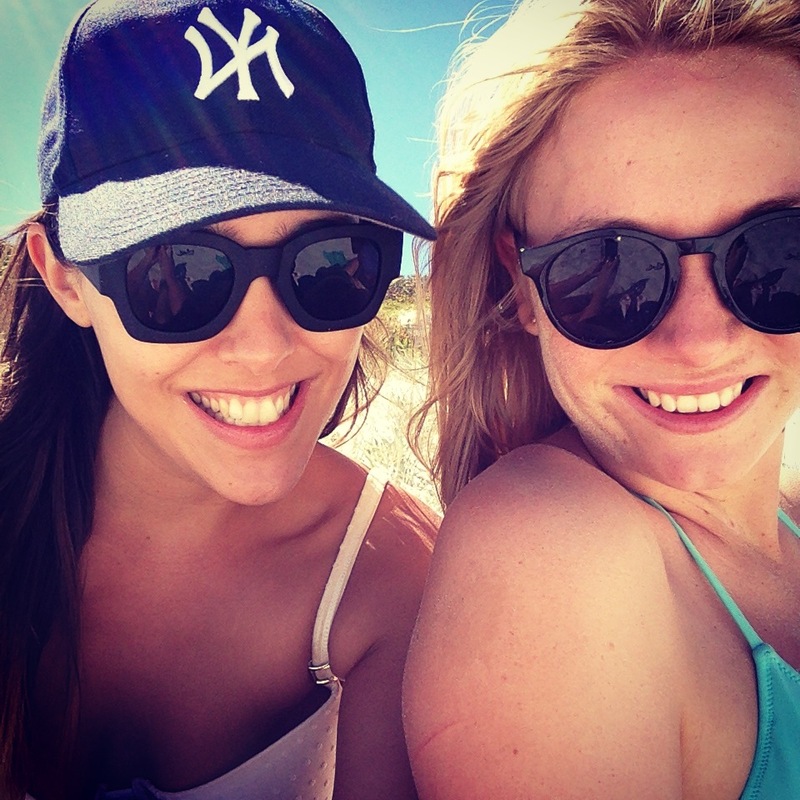 We bade farewell to the beach and this morning I drowned my sorrows in pancakes. 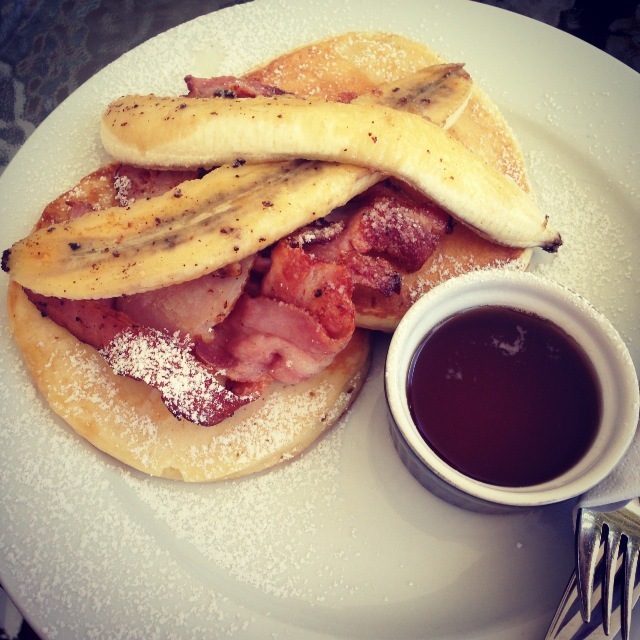 Then I got home I realised that tomorrow is Shrove Tuesday. Luckily I don’t have some stupid weekly pancake quota otherwise I’d be screwed for tomorrow. I’ve already packed the electric fry pan to take to work and whip up a batch. Yet another delicious religious holiday. Do you get end of season sadness? Or enjoy delicious foods for religious reasons you don’t quite understand? Tell me about it. 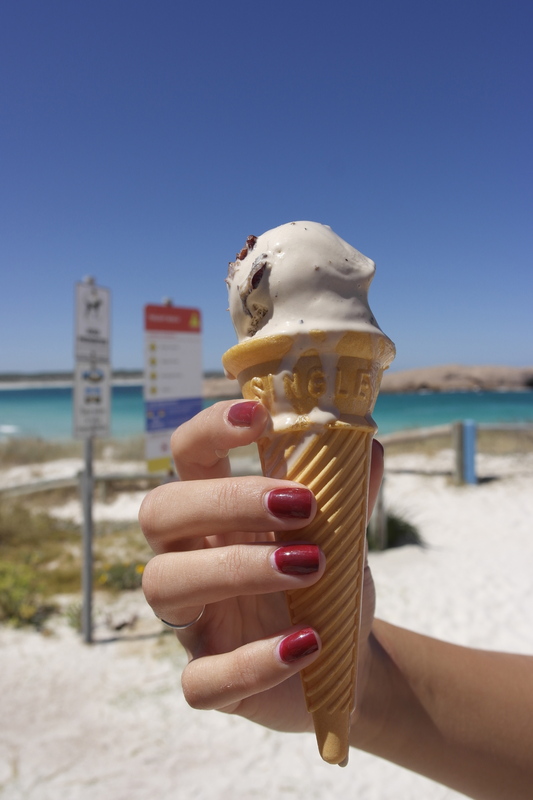 This entry was posted in Misc and tagged Beach, Esperance, Ice Cream, Pancakes, Weekend, Weekend Away, Weekend Escape. Bookmark the permalink.